Panda are cute but panda eyes are not for you. No no. You look more like a serial killer. Nahh I m just kidding. What cause tired eyes? Some of them that I know are dehydration, not enough sleep, over slept and looking at your phone or computer for long hours. It can be covered with concelaer for a while but when you get back home and remove your makeup, say hello to yourself, hi panda! Recently I got the chance to try this eye serum. 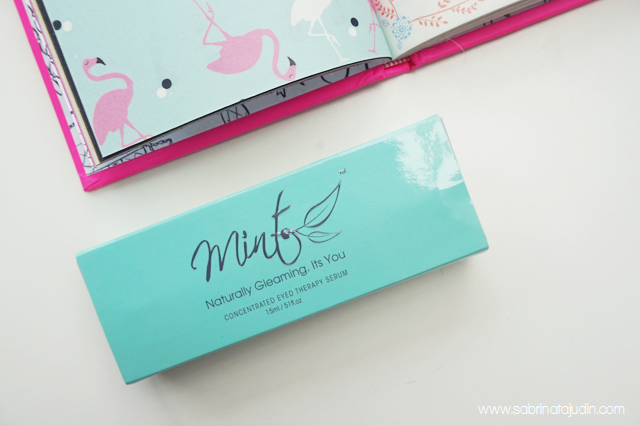 It is Concentrated Eye Therapy Serum from a home grown brand Mint Beauty. It helps to reduce dark circles, puffiness, minimize fine lines, provides instant lifting & plumping effect. Along with that its protects longevity of skin stem cells, delays senescence of essential cells and combat chronological aging. It is suitable to be use for all skin types. What I like about it. It has a very nice cooling sensation when applied. 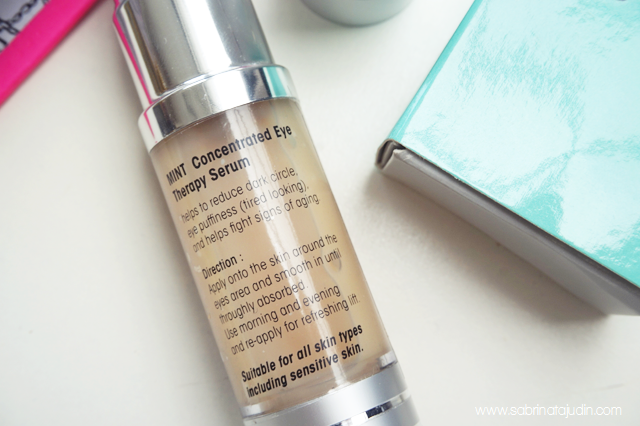 My eye area feels so refresh and this eye serum is easily absorb to my skin without any stickiness. 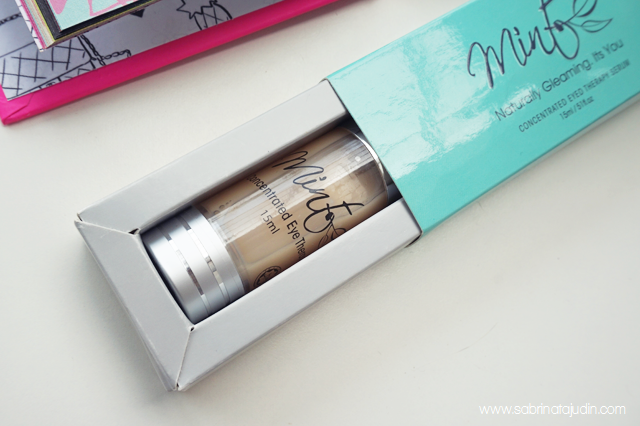 It serve a great base for my undereye concealer application. What I don't like about it. So far I don't have any dislike for this product. Price : RM89 (WM) / RM95 (EM) with free postage. Minty products can cause eye irritation though.. But it does sound nice and I love the transparent bottle ermahgad? It is not minty! hehe.. its just soothing. yep! got to love the packaging! Masalahnyer malas betul nak pakai.. lol. soothing eye serum sounds so nice. I wonder if Korean skincare has something like this. thats a good idea, will take note on that! if you are looking for an eye cream, check it out. Dark circles. Does it really reduce yours? As mention, i dont have dark circle that much, but i have etye bag. cant see the difference. maybe a bit. i find my eyes are refreshed.